Long before there were crossover coupes like the BMW X4, there were two-door SUVs which could tackle a lot more than the parking lots of suburbia. The Range Rover SV Coupe recalls this era as it pays tribute to the original model which was launched as a two-door in 1970. 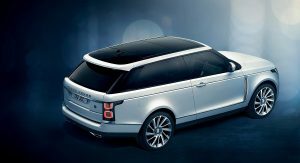 Seen here in these newly surfaced images, the all-new model is unmistakably a Range Rover as the front and rear ends closely echo the facelifted variant which was introduced last October. That’s where the styling similarities end as the SV Coupe adopts a rakish windscreen and a steeply sloped roof with panoramic glass panels. 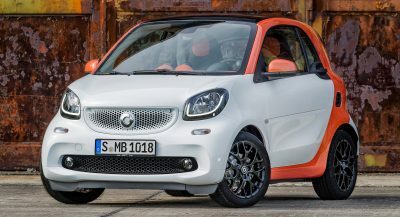 The model also eschews the rear doors and adopts new side vents as well as what appears to be a reduced ride height. 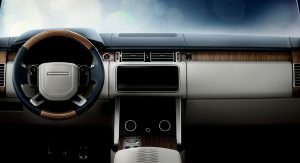 The upscale styling continues in the cabin as we can see premium leather upholstery, luxurious wood trim and metallic accents. The overall design echoes the standard model but the coupe features two individual rear seats which are separated by a full-length center console. While the rear passengers don’t appear to have much headroom, they’ll have their own air vents and climate controls. 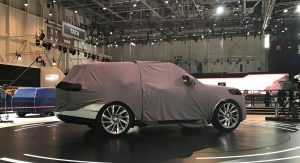 Little else is known about the SV Coupe but the model will be built by Jaguar Land Rover Special Vehicle Operations and production will be limited to 999 units. The model will debut in Geneva shortly so stay tuned for full details. Thanks to Erico for the tip! I like this and I’m not sure why. I mean it makes no sense to have a truck this big and not have 4 doors. But its still cool. I even like the 2 color interior. Razor thin rubber. No wheel well clearance. Somewhere we have to draw the line as to when you can call it an SUV. Donk? I dig it. As a throwback to the original. It still looks funny to me tho. As in I can’t stop laughing at the photos. Lol. Kind of looks like it should be in the water. Not sure why. now I cant unsee it!! it looks like a yacht. It might be the angle the photo was taken from, but the suspension looks like it’s given way. I’m not a fan. It’s probably adjustable suspension at its lowest setting. Agreed. I bet if they brought back a 2-door Yukon GT they could load it up in Denali trim and it would sell like hotcakes at obscene prices. Dont forget about the 2-7 that bought the RR Evoque convertible. IT LOOKS GOOD BUT SO DID THE EVOQUE COUPE. I DON’T UNDERSTAND WHY THEY DROP IT ONLY TO COME UP WITH ANOTHER COUPE. THERE’S ROOM FOR MORE THAN ONE IF THERE’S ROOM FOR HALF A DOZEN DIFFERENT SUV’S IN THEIR LINE UP. I think they feel this will appeal more to people with disposable income. I personally liked the Evoque coupè and thought a new one with Velar styling would’ve been hot but at they probably feel they can sell more for people who can afford a 5th car. I AGREE THAT’S WHY I DON’T UNDERSTAND WHY THEY DROPPED EVOQUE COUPE. IF THAT DIDN’T SELL THEN I’D THINK TWICE ABOUT REDOING IT WITH A MORE EXPENSIVE MODEL. I GUESS WE’LL SEE IF IT’S A GOOD IDEA. THAT’S WHY THIS ONE IS A LIMITED EDITION. Evoque was meant to be the brand entry level. And at that price point, more customer prefer the more practical 4 door rather than 2 door. I don’t get the sense of this car? 5 mt long, 3 doors and 4 seats! An huge/heavy SUV called coupè. 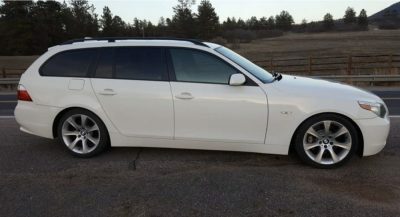 Nobody is building and selling coupes because now everydody whants a SUV and i can’t accept that… this is ugly as he’ll! WELL THIS IS ACTUALLY A COUPE, SO IT’S GOT THAT OVER FOUR DOOR CARS THEY CALL COUPES. This is not a coupe dude. It’s a 3 door SUV. 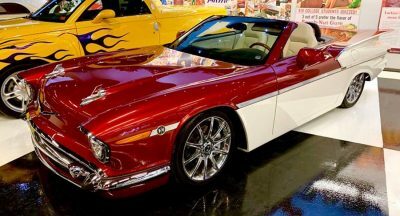 IN MY BOOK 2 DOORS IN THE BODY IT’S A COUPE. A COUPE WITH A HATCH IF YOU WILL. Bonkers and I like it. I’d love though it if the fenders popped out, old-school Audi Quattro-style, to eat up some of the serious acreage on that rear wheel panel. Especially not cute on the 3/4 angle, but still a cool car. I never did and still don’t get the big fake side vent. Because they can’t see beyond practicality unless it’s a sports car. 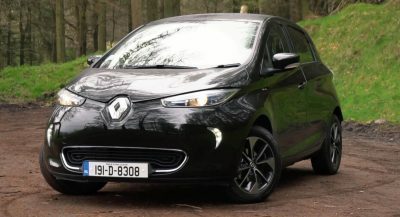 They cannot imagine how there is a group of people who desire something interesting and couldn’t careless about access to rear seats which no one will be in anyway. I love it too. I wish they’d create a gen 2 Evoque coupè. WHAT’S PARTICULARLY SHALL I SAY INTERESTING IS THAT THE BACK SEAT IS HIGHLIGHTED WITH IT’S OWN COLOR LEATHER AND NO DOUBT OTHER DESIRABLE GOODIES. I mean it looks tidy and good throwback to originals, but I really don’t want to spend my money on this. Doug Demuro is wrong. 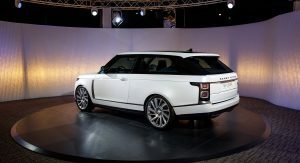 THIS is the coolest Range Rover ever. 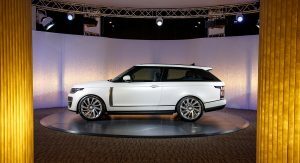 It’s pretty cool, but I can’t help but think a concept like this would have been better kept over as a preview of the next generation Range Rover. 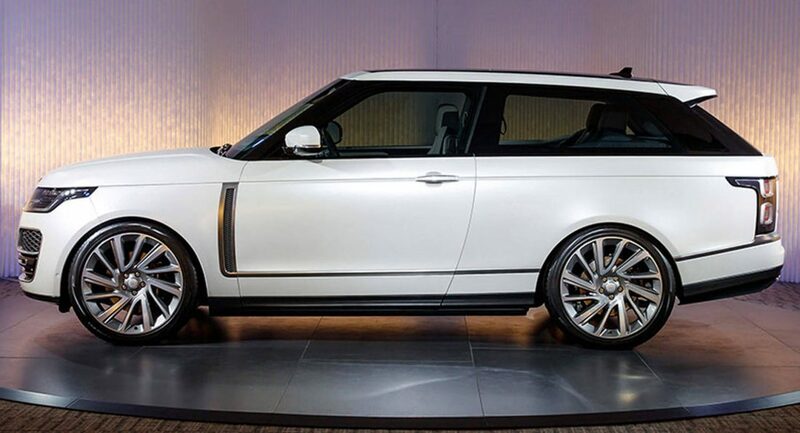 It seems a bit pointless to launch a 2-door, super luxury version six years into the current car’s life cycle. Because this is a special edition models, and it was produced by SVO division, which handles non production line, special edition cars. is it the lighting or does the door look a different color? The proportions on the side profile look so off.